Martin Truex Jr., driver for the single-car Furniture Row Racing team, earned his first win of 2016 in record-setting fashion. Truex dominated the Coca-Cola 600 on Sunday, pacing the field for 392 of the 400 laps for a NASCAR-record 588 miles led. It was the driver's first win in nearly a year, and the fourth of his 13-year Cup career. 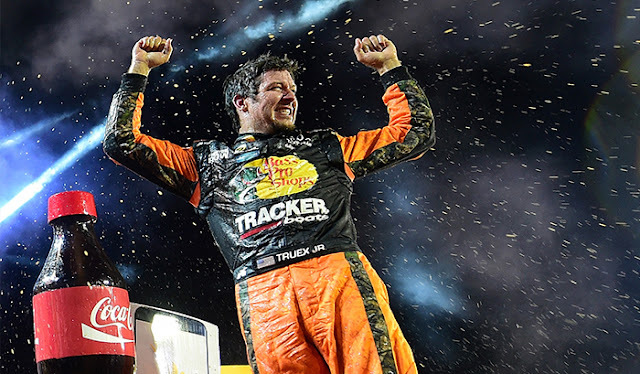 "There are so many emotions, I had to unplug my radio and just ride around and think for a few minutes, because I didn’t even know what I was going to say or what I was going to do," Truex said after an emotional visit to Victory Lane. "I’ve got a lot of great people behind me. 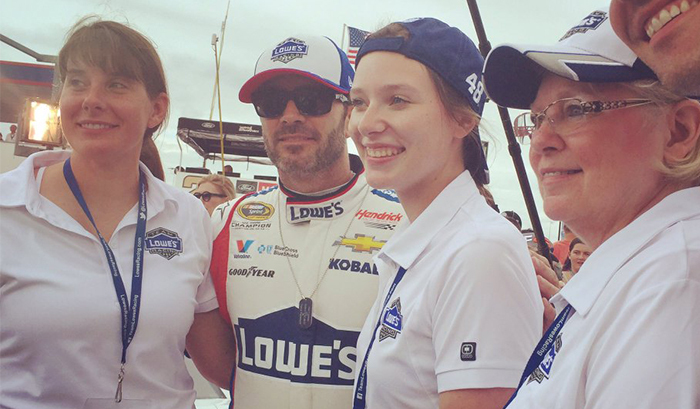 Sherry’s (Pollex, his girlfriend) – she gives me a lot of inspiration and we just keep fighting. We never give up. We never quit. … It feels awesome." Following the win, Truex's journey down pit road to Gatorade Victory Lane took a bit longer than normal. Fans, crew members, and drivers (Ryan Newman, Jimmie Johnson, Carl Edwards) all stopped to congratulate the No. 78 driver on his big win. "Congratulations to my buddy Martin. He deserved that one," said Newman. 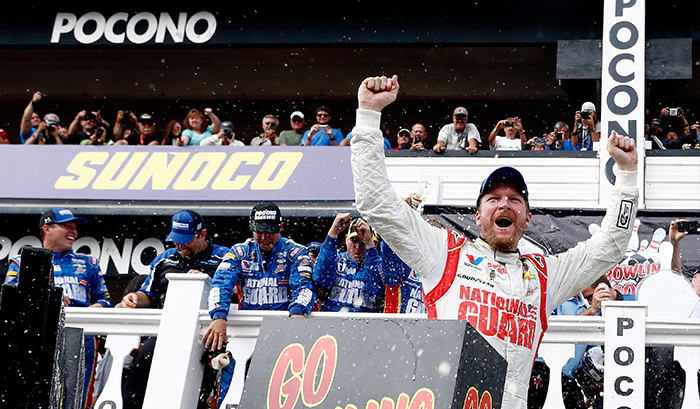 Johnson, a four-time winner of the Coca-Cola 600, was also quick to offer up praise on Sunday. "I feel great for him, and we've all seen how close they've been. I just think Martin is really well liked in the garage. He's just a good dude, so I'm very happy for him." While Truex's historic race was one of the biggest story lines coming out of the weekend, by no means was it the only one. Around the country, the NASCAR industry expressed its widespread and deep appreciation for all of those who serve in our country's armed forces. With the launch of #NASCARSalutes this past weekend, click here to check out how some chose to remember and honor those who serve. Is the Tricky Triangle Junior's Answer? Dale Earnhardt Jr's tumultuous 2016 continued on Sunday when an untimely caution left the 88 team in a rough spot. With just 60 laps to go, the yellow flag flew for debris on the backstretch - catching Junior already on pit road for a green flag stop. By taking the wave-around, he was able to remain on the lead lap but not allowed to pit under the yellow. After climbing as high as seventh, the No. 88 ultimately crossed the start/finish line in 14th place, making that Junior's seventh finish outside the top-10 this season. He'll have a chance to get things back on track this weekend in Pocono, where he swept both races in 2014.